In the short time that the Vaporesso Revenger X has been available, it has quickly become one of the most sought after sub ohm starter kits. This device is highly versatile. Users are able to customize their ramp up wattage, curvature of temperature and much more. All these capabilities are managed by an OMNI board 2.2 chipset and an interactive touch screen interface. It is easy to see why the Revenger X is the flagship mod of Vaporesso and one of the best devices currently on the market. Details and Specification of the Freedom Edition Revenger X. Direct Vapor offers a low price guarantee. Should you find a Revenger X at a lower price, they will match or refund you the difference. The Vaporesso Revenger X Freedom Edition is an exclusive color design only found at Direct Vapor. Both the mod and tank are adorned with American patriotism and the red, white and blue. But what makes the Freedom Edition really worth purchasing is that it is the same price as the standard Revenger X, and A PORTION OF ALL SALES ARE DONATED TO VETERAN’S ORGANIZATIONS. Each purchase of the Revenger X Freedom Edition helps a Veteran. The NRG tank is a stainless steel top fill tank that holds 5ml of vape juice. 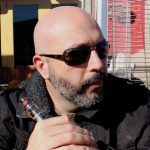 Vapers purchasing the device in Europe are stuck with the NRG Mini Tank that holds 2ml of eLiquid. The most notable feature of the NRG tank is the top refill mechanism that is beautifully designed. 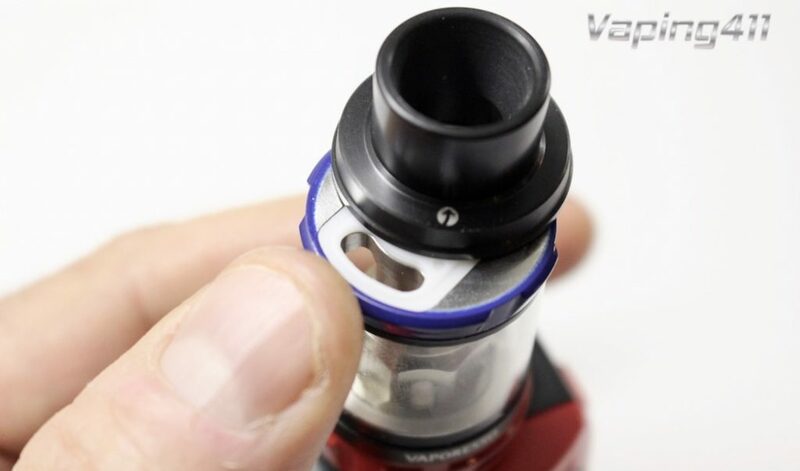 Unlike the SMOK TFV8, there is no seal that eventually gets warped, making it increasingly difficult to close. The NRG tank utilizes an innovative “Slide and Fill” mechanism that makes refilling easy. Just place your thumb next to the lock icon and push. Once the tank is full of juice, slide the top assembly back until it locks in place. That’s all there is to it. A close up of the Slide and Fill feature of the NRG Tank. The NRG tank comes with two coils. The pre-installed GT8 coil is rated at 0.15ohm and can handle 50W-110W. Vaporesso suggests the optimum wattage for this coil is 60W-80W. 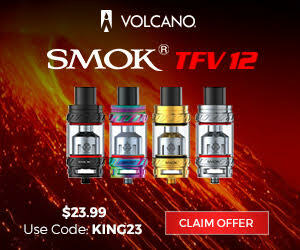 An additional 1.5ohm GT4 coil is included with the starter kit. 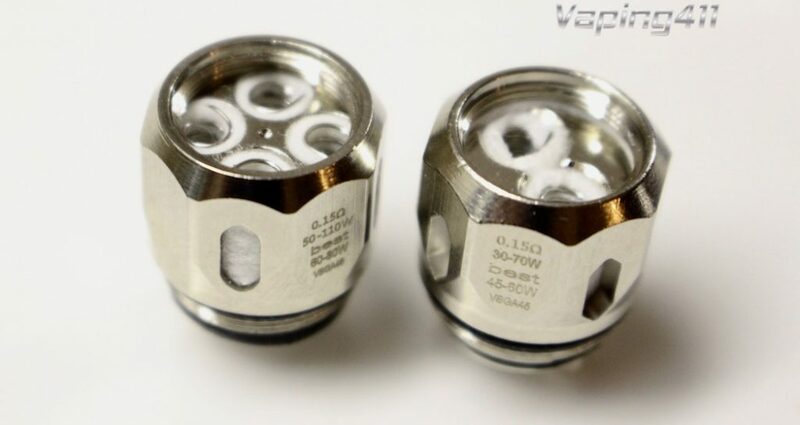 This coil can handle 30W-70W and its optimal wattage range is 45W-60W. GT8 (L) and GT4 (R) coils are included in the kit. Another impressive feature of the NRG tank is the adjustable airflow. It’s a nice, snug adjuster that feels solid and stays in place. A lot of great thought has been put in making this tank. For instance. the NRG tank has a heat insulation layer built into the bottom tank assembly to prevent any heat transfer from the coil. Overall, this is a very well made tank and can be broken down into its individual components for cleaning. An additional pyrex glass tube is also ncluded in the kit. The Freedom Edition NRG tank is color matched with the Freedom Mod in red, white and blue. The Omni Board 2.2 chipset powers the Vaporesso Revenger X. Accessing the menu items is very easy with the built in touch screen buttons on the side panel. The device is responsive and provides a slight vibration each time a user presses a touch-screen button. A notable feature is that the device instantly locks any change in place. Therefore, the firing trigger has to be pushed 3x in a quick succession in order to unlock and make new changes. This can get annoying at times. High: For a strong instant hit, this preset allows the full wattage to hit the coil instantly. Normal: This is the preset wattage hitting the coil. Think of it as a bell curve of the wattage applied. Soft: A gentle increase in wattage hitting the coil. CCW or Custom Curvature of Wattage: If the High, Normal or Soft presets don’t meet your needs, users can customize the ramp up wattage hitting the coil in this setting. TCR: The Temperature Coefficient of Resistance for specialty coils is added through the menu option TCR-M1 or TCR-M2. Bypass Mode: This mode provides direct voltage to the coil and this voltage is dependent on the strength of the battery. The chart below provides the suggested TCR values for the most popular coils. Mode Menu options of the Omni Board 2.2 chipset. Smart On/Off: Automatically detects the appropriate wattage of the installed coil. However, this doesn’t seem to work correctly. 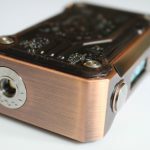 When tested, the mod chose 50W for a Joyetech Ornate coil which is designed for 70w +. Screen Time Out: Factory settings has the Screen Time Out set to 15 minutes. Use this feature to change the time. 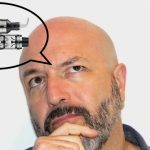 The Vaporesso Revenger X requires two high amperage 18650 batteries (not included in the kit). The battery compartment is on the opposite panel of the OLED screen. The battery cover magnetically connects to the mod with six magnets. The only issue we see with this set up is that the positive and negative terminals are a little difficult to distinguish due to the black writing on the black battery housing. This is especially true in locations with little light. 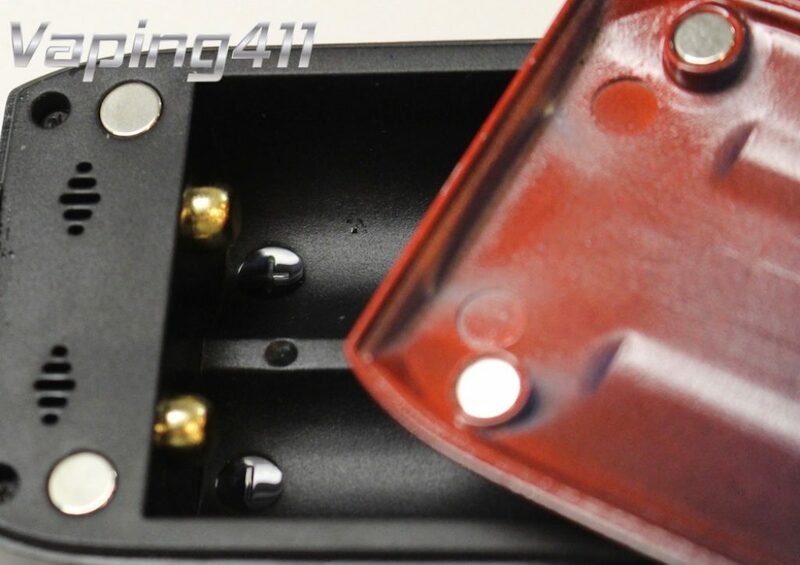 The positive/negative terminals of the battery compartment are a little difficult to distinguish in the dark. Pass-Through Enabled: The Revenger X has a Quick Charge System that allows users to vape and charge with included USB cable. During charging, the OLED display reveals how much time is needed to recharge. This is updated every 10 minutes. Firmware upgrade: The software can be upgraded. For PC click here. For Mac click here. The mod doesn’t just invoke patriotism with its American Pride exterior, but a portion of each sale goes to Veterans Organizations. And what makes this a great deal is that the price is exactly the same as the standard Revenger X. The Revenger X is one of the better devices we have reviewed in a very long time. Its exceptional quality, customized settings and interactive touch screen gets high marks. The Freedom Edition adds a nice patriotic touch and a portion of its sales go to U.S. Veteran's groups. This is a must buy.